Key Club members collected donations in these UNICEF boxes while trick-or-treating on Halloween. Columbia Key Club donated $481.97 to UNICEF – the United Nations International Children’s Emergency Fund – thanks to its Trick-or-Treat fundraiser from earlier this fall. 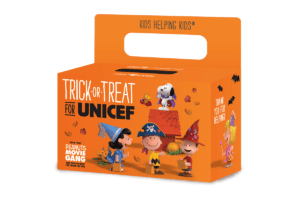 Key Club members collected donations – the most ever for this fundraiser – by bringing UNICEF donation boxes with them for Halloween trick-or-treating. UNICEF works in 190 countries and reaches millions of children with immunizations, education, health care, nutrition, safe water and sanitation, emergency relief and more.